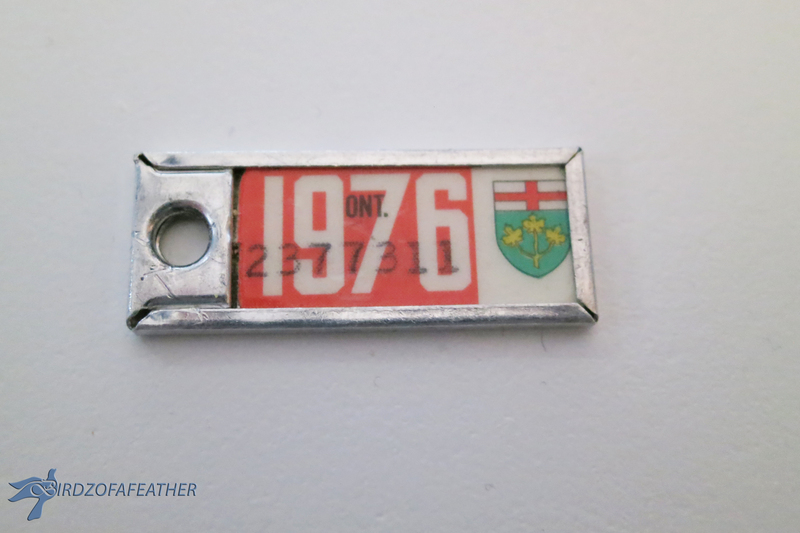 Hubs is always misplacing his car keys, which often makes us late, so it was time to consider a key organizer. We waste so much time looking for keys when we should be out the door! 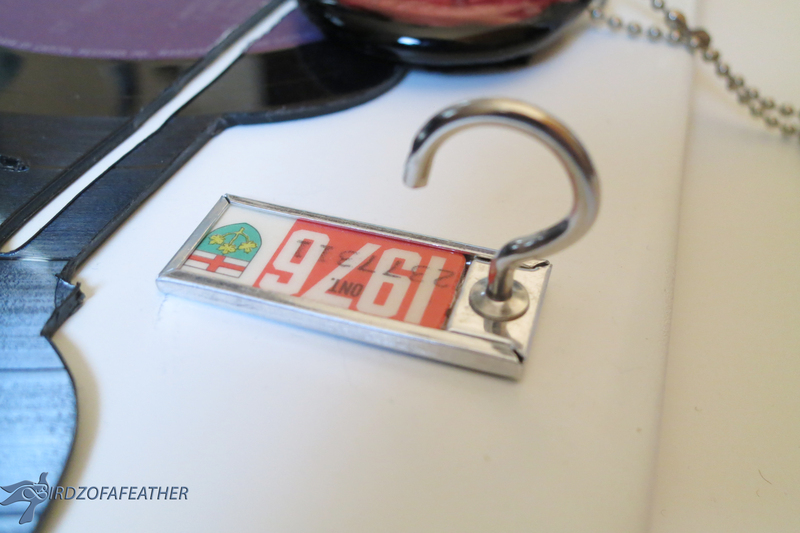 My transportation-themed key holder features a VW bug cut from a vinyl record album! I found some inspiring ideas on what to do with scratched record albums on Pinterest (search vinyl record art and you’ll see loads of ideas). Given my husband’s love of all things Volkswagen, I thought it would be a fun challenge to try out a VW Beetle with its curvy iconic shape. I used Google images to find some clipart of a Volkswagen Beetle that I thought would work. I intended to create an older version of the VW for hubs, but the one I used for the key holder pictured above was so stylized that I knew it would be perfect to use as a test run. I didn’t really expect it to come out so good on my first try, so I never ended up doing the second one as I originally intended! 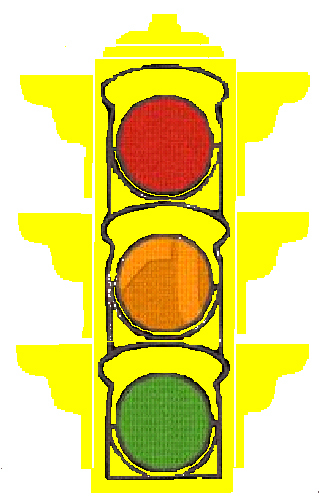 If you’re interested in trying out this project, I’ve included jpeg files of the beetle and stoplight clipart that I used below. Since the record album was 12″ wide, I brought the graphic into Powerpoint and set it to print on legal sized paper. 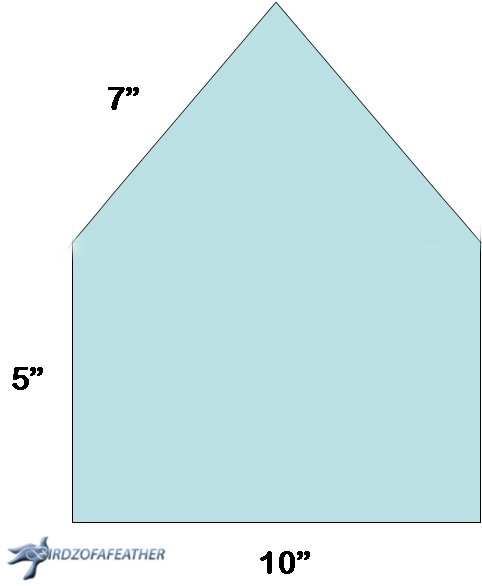 I then enlarged the clipart to 12″ in width so it would span the entire vinyl album. As you’ll see in the final reveal, I used a mirror image of the clipart shown below. 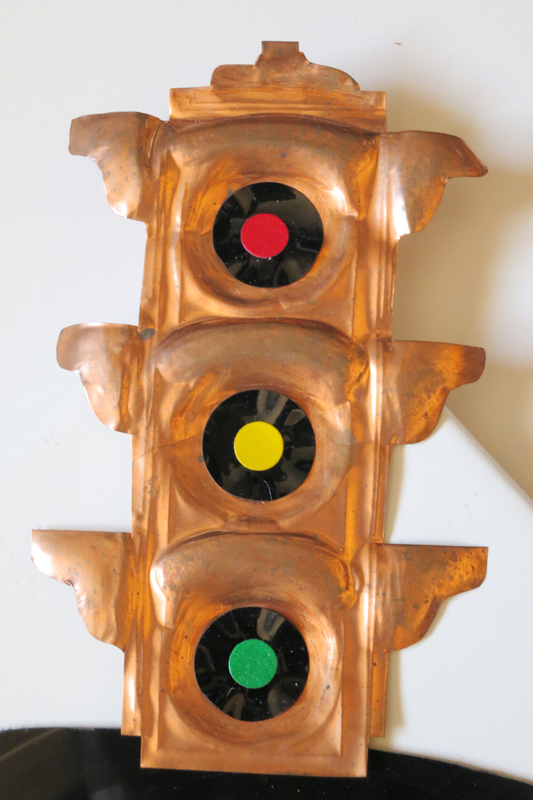 This stoplight inspired a copper accent using a sheet of copper foil. I marked around the outline and used tin snips to cut it out of the copper sheet. Then I put the piece over a rubber pad and used various embossing tools to score the lines and emboss the detail. Some elements I embossed on the front of the copper and others I did on the back. For instance, the centre (where the red, yellow and green ‘lights’ are) was embossed into the rubber pad from the front so the detail would look concave. The ‘wings’ of the piece are embossed on the back so that they stand proud and give the piece dimension. You can shine the copper up if you prefer it that way, but I love the look of patina. To finish off the stoplight I cut some circles out of adhesive backed black vinyl, stuck on red, yellow and green dots in the centre, and adhered them onto the copper. I could have used some gem stones, or even glass globs, but the stickers were lighter and I had them on-hand in my stash. Notice in particular at .47 seconds where she shows how she cuts the vinyl: she keeps her knife steady in one hand and then rotates the work with her other hand. I set up a fan to blow away the fumes, but it would probably be best to also use a respirator, or do it outdoors if possible, to avoid inhaling the fumes. I placed a piece of plywood underneath the album so I wouldn’t burn my work table. Once the knife was heated up, I lowered the point into the vinyl on one of the lines, then used my left hand to rotate the album as I kept the knife steady in one spot and pulled the work toward me. I worked slowly and steadily to slice through the vinyl with the hot knife, taking care not to stay in any one spot too long and over melt the vinyl. When necessary, I turned the work so I could cut into any corners.In addition to the vinyl record, I added in a few odds and ends left over from another VW-related item I made for hubs before we were married – the stained glass clock pictured below. What started out as a birthday present took me all the way until Christmas to complete! Since it took so much effort to fabricate, I wanted to use elements I had already created! At this point, I gathered all my components and started to visualize how they should all come together so I could plan the layout for the backer board. I found a few war amp key tags in my father’s junk drawer; I thought they’d make a great backer for the cup hooks to hang the keys! 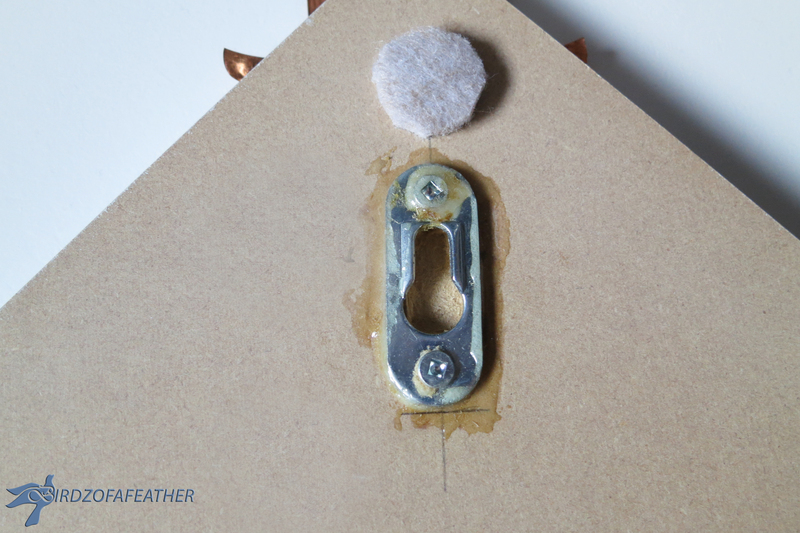 To hang the board on a wall, I glued and screwed a keyhole hanger to the back of the board to make it secure. 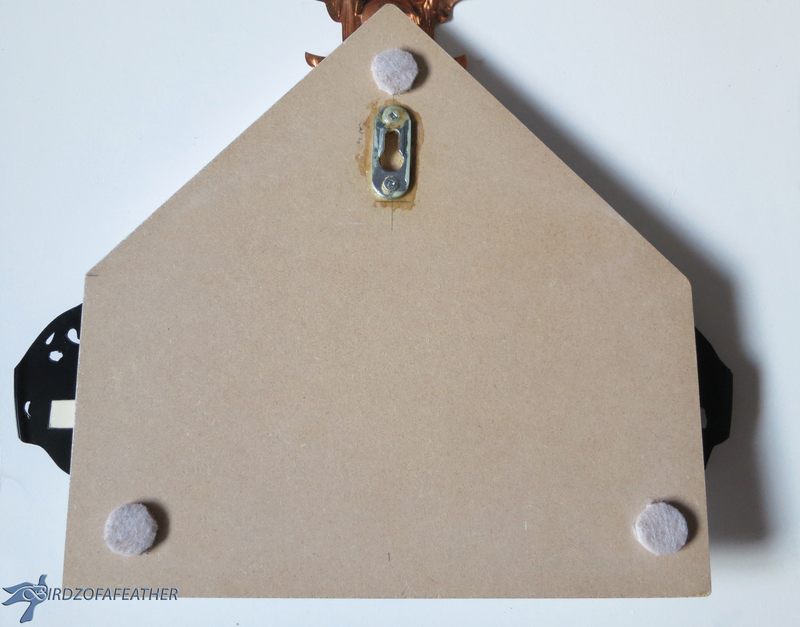 Make sure to put it on as shown below with the wide end of the keyhole pointing down or it could fall off the wall when you hang it up. Centre it on the board (you can see my pencil marks below). It should also run perfectly straight up and down to help keep it level once hung. 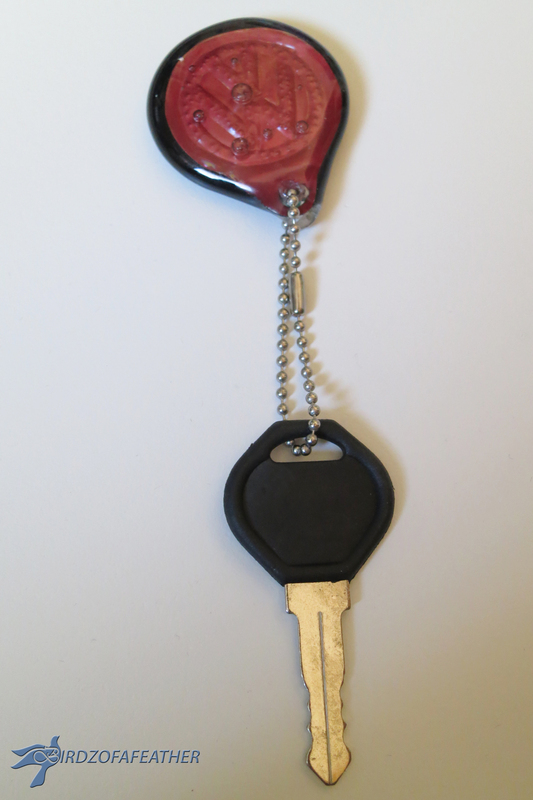 In between the two key hooks, I added a ‘fake’ keychain made from fused glass, ball chain and a key blank. We only needed two hooks for hubs and me so I thought it would be interesting to add this purely decorative piece. It’s a bit hard to make out, but there is a VW logo inscribed onto the copper that’s fused into the glass. This was the spare piece that I remade for hub’s glass clock because I didn’t like the air bubbles that got trapped between the layers – but I learned to embrace them for the key holder To finish off the car, I put a popsicle stick behind the space I cut away from the vinyl record for the ‘license plate’. I traced the shape of the license plate onto stick then burned around the outline and added 66 VW to the centre of the wood with a wood burning tool (using a narrow tip). I cut around the outside of the burned edges with an exacto knife and sanded the edges smooth. It was such a tight fit that I didn’t have to glue it into the space; it just stayed put on its own. 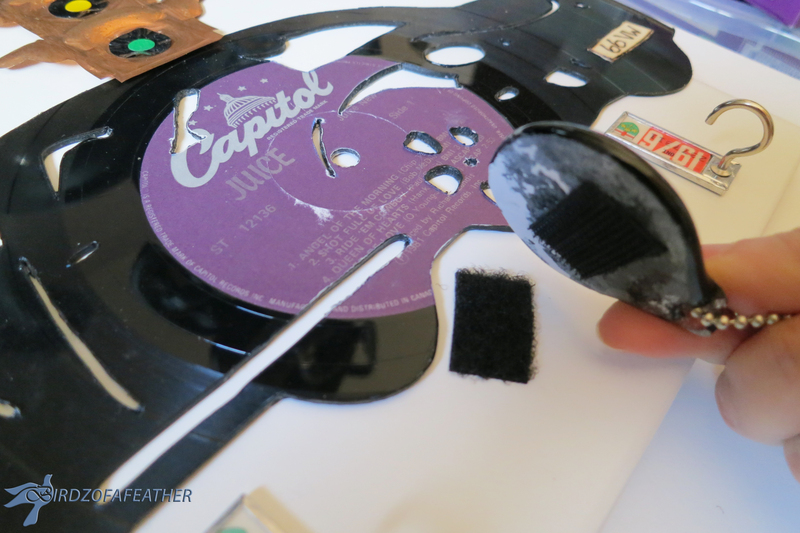 However, you could add some hot glue around the edges on back of the record to keep it from popping out. Hub’s favourite year of beetle is 1966; which I guess would have worked better with an older style bug – oh well! This is the old style of VW my husband prefers: I used some double side tape to attach the vinyl record and the copper stop light to the board. Position the war amp key tags where you want them (in my case, on either end of the board underneath the VW bug) and screw the cup hook in tightly so they end up pointing upwards. To finish it off I attached the glass key chain with velcro. The key holder was ready to go into active duty, however, I never could convince hubs to use it. It’s been languishing in a box for quite some time. I’ll likely drag it out again when hubs has finished my craft studio and find a place (and some other purpose) for it there; let me know if you have any suggestions At Birdz of a Feather, we’re feathering the nest… one room (and project) at a time. If this project has inspired you, please pin and share on Facebook.